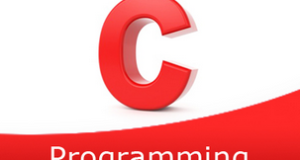 C program to trim trailing white space characters from string – In this article, we will detail in on the several ways to trim trailing white space characters from a given string in C programming. As we can see with this easy example, we need to enter a string. Hence, it is seen that there are trailing whitespaces. Read the string entered by the user using gets(s) function. 2) Print the string before trim trailing white spaces from the string. 3) Initialize i=length of the string-1. 4) The while loop goes through the string in reverse order until i<-1 becomes to false. If the character at s[i] equals to white space or tab then decrease the i value. Otherwise, terminate the loop. Repeat this step until i<-1. Here we removing the trailing white spaces from the string in reverse order. 5) Every string ends with a null character so initialize the last element of the string with a null character. 6) Print the string after trim trailing white spaces from the string. The main() calls the trimtrailing(char *s) function to remove the trailing whitespaces of the string. 2) a) i=length of the string-1. b) The while loop iterates until i>-1 becomes to false. c) After removing all trailing white spaces ,initialize the last element s[i+1]=”\0″. The main() calls the recursive function trimtrailing(char *s) which calls itself recursively to remove the trailing whitespace characters. 2) a) Initialize i=length of the string-1. b) If the character at the last index is equal to the white space or a tab then decrease index value i by 1. Call the function itself. The function calls recursively until it removes the all trailing whitespaces of the string. c) After removing the trailing whitespaces then terminate the loop. d) Every string ends with the null character so initialize s[i+1]=”\0″.